This Trick Star is both an instructor and owner of Jasmine Dragons. Mattcrobat's passion in youth development has been well accredited with momentum that's been limitless momentum. Acrobat Cirque School owner 10+ years, coaching 15+. 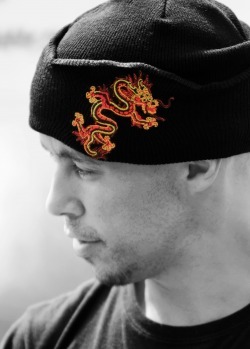 Matt has some certifications in youth group coaching, personal training, yoga, and has a Jasmine Dragons Teachers certification for those looking to add Jasmine Dragon style youth programs. Matt has coached around 50 kids a week in a Fusion of Aerial Arts/ Hip Hop Dance, Body Balance, Style, Expression, Performance, and Life. His entourage might be young in years and smaller in size but "Do not underestimate them in ." Their all around knowledge, core strength, mechanics, creating new paths acro cirque lifestyle packs powerful uniqueness around the Globe. His Youth troupes perform for thousands of people a year. They give Inspiration to all, with Passion to Express with Confidence and slick tricks. The team has been seen from New York City grand ballroom to the rocky mountains, to local street festivals, schools, and senior centers. The team will work with foster, domestic, and the visually impaired also. Ali Munoz Originally from Cleveland Ohio started at a early age to dance. Swift Ali found B Boying or "breaking" perfect for him. In 1997 the Rock and Roll Hall of Fame hosted the first hip hop exhibit, The bboy part inspired him to begin training and teaching the foundation of breaking. Meeting all the founders and learning from them was what landed him a job at the museum teaching students from all over the world. Bboy Swift Ali has taught students Ranking from Kindergarten to High School as well as Visually Impaired Students from the Cleveland Sight Center. 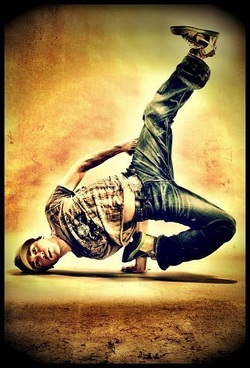 He takes a deep commitment in participating in Battles/Performances,as well as Teaching the Foundation of the Dance. Gravity Games Halftime Show, Cleveland Cavaliers Scream Team for 5 years, Cleveland Public Theater Dance works series, 2004 International Children's Games, Woodward action skate camp and Boys and Girls Club "After School dance workshops" Ricki Lake "Beats from the Streets", Hip-Hop for Life(2001) Blockbuster, , Fox 8 Kenny Krumpton. Nut Cracker Reloaded, , Requiem Descending, Sparks in the city's "Arts on the Streets", Red (an Orchestra), Hot Import Night" live stage"
He's achievements has him landing 2 titles for the Ohio Hip-Hip Award "Best B-Boy"
Anne Laing has been dancing since she was a little girl. She started her dance training at the age of 5 and four years later, she became a member of the Cuyahoga Valley Youth Ballet, a pre-professional dance company in Cuyahoga Falls. She has been teaching ballet since 1995. Anne also teaches and practices other movement forms, including Pilates, yoga, Zumba, Balletone, belly dance, and hoop dance. Under the mentorship of Tom Smith, she became a Pilates instructor in 2003. She also trained with Nancy Myers of EHS Pilates. After 10 years of studying yoga, she received her 200-hour yoga certification from TRY4Life with Jan Hauenstein and Judi Bar in 2007. She studied hula hoop with Lara Eastburn from Superhooper.org and Jonathan Baxter from Hoop Path. Anne’s knowledge and experience in these diverse movement forms has contributed to her thoughtful, creative, and challenging teaching style. She helps her students become better aware of their bodies and themselves while having fun. These diverse forms also contribute to Anne’s fluid, graceful, strong, and dynamic performance style. She started studying belly dance at Kent State in 2003 and went on to join the belly dance troupes Dance du Soleil and Gems of Egypt. She currently choreographs and performs with Akron-based troupe Gypsy Soul, specializing in tribal fusion belly dance. In November 2011, Gypsy Soul won the awards for Best Troupe Performance and Best Artistry at the first annual Pittsburgh Belly-Off competition. Anne continues to study belly dance as well as gypsy (Rom) and burlesque dance with Sherena Hendrix of Sherena’s Art in Motion Dance Studio in Sebring, OH. She performs with Sherena’s Art in Motion Bellydance Company and occasionally teaches dance classes at her studio. Is A Master of object manipulation. Precision & defying Laws below showing how to balance 2 swords while juggling 3 of them.